powershell.exe  -NoProfile -NoExit -NoLogo -command "Set-PSReadlineOption -TokenKind String -ForegroundColor Cyan; . 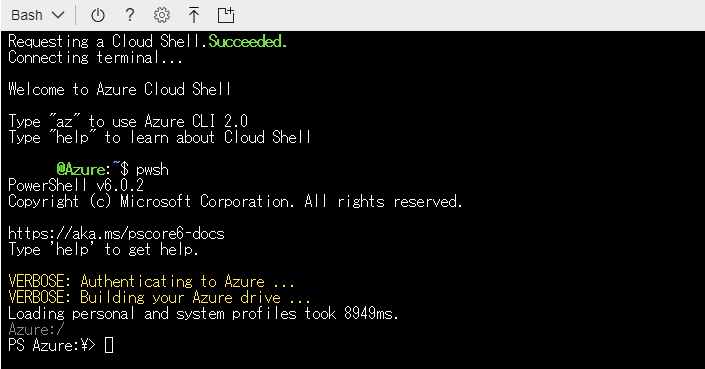 ~\PSCloudShellStartup.ps1"
# This profile script is used by PowerShell Core. # Windows Powershell is started with -NoProfile to optimize its start time.